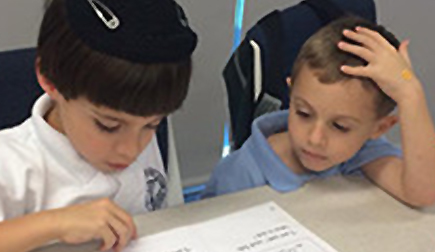 "Our children, age 7 and 5, attended Adath Israel's Hebrew School. They woke up every Sunday morning eager to get to Hebrew school. From the history of the Jewish people, to the Hebrew language, culture and holiday celebrations, each class was engaging and fun! Most importantly, the teachers and administrators are caring and make every child feel special." 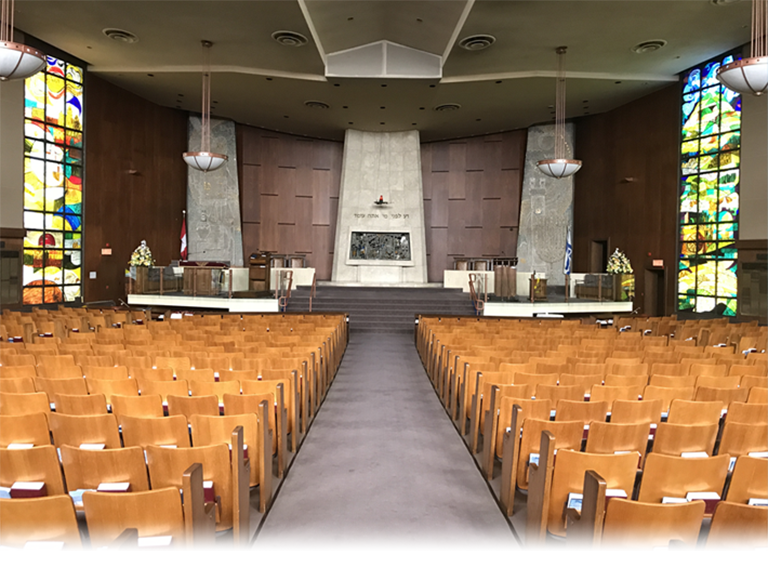 We place considerable emphasis on developing Hebrew reading skills, Synagogue literacy, familiarity with Shabbat and Holiday practices with the ultimate goal of providing a solid foundation for your child’s Bar/Bat Mitzvah preparation. We have wifi in classroom and use computers to support learning. Our program takes place on Sundays for Grades JK through 2 and adds Tuesdays for Grades 4 through 6. Sundays 9:30 a.m. – 12:15 p.m.
We provide an experiential hands-on approach to learning through age appropriate stories, music and crafts. Children learn the Hebrew alphabet, Hebrew vocabulary and learn about holidays and Shabbat. Theses learning blocks serve to build a solid foundation for future Hebrew reading. Tuesdays 4:30 p.m. – 6:15 p.m.
We focus on project-based learning where children delve deeply into age appropriate units of study tapping into their strengths and individual learning styles. This approach ensures that learning becomes relevant and personally rewarding. We recognize that children have busy lives and full-time school commitments, as well as extra curricular activities but we believe that 2 days of study per week are needed to provide a more immersive experience essential to learning another language. Our goal is to make learning Hebrew and learning about Judaism rewarding and relevant so that your children will look forward to coming to Hebrew School.